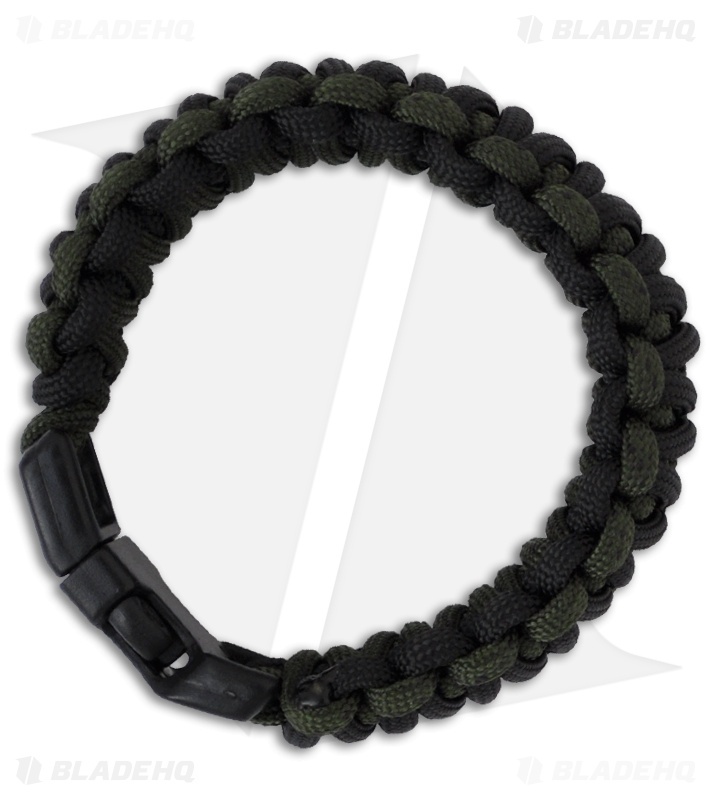 This easy to carry survival bracelet from Knotty Boys packs roughly one foot of 550 paracord per inch for when times get rough. Includes a 5/8" buckle snap closure. 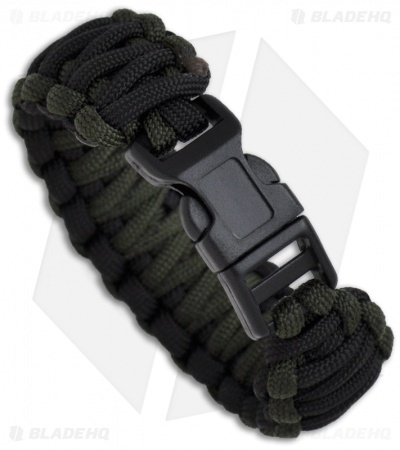 Double tied and one inch wide.